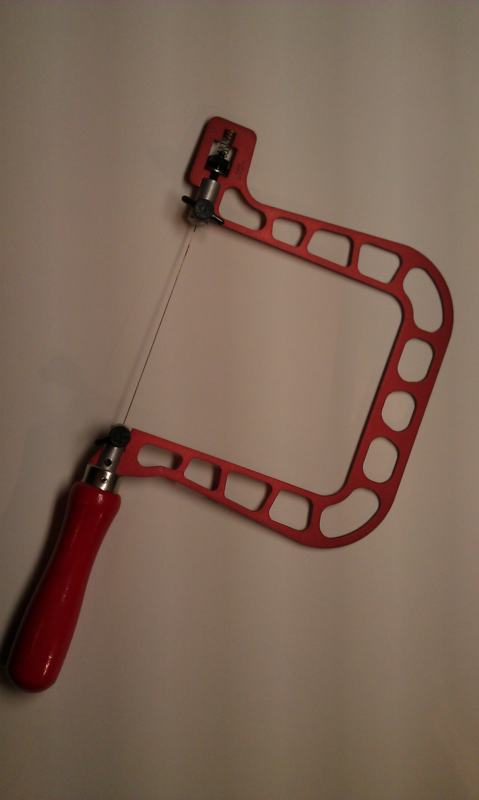 Last Christmas, I asked for this saw frame from Knew Concepts, and I got it from Santa (ok, Scott) I have been using it ever since, and I thought I would write a review about it. Firstly, here is a picture of the frames I have been using for years. Very generic, 5" throat and 3" throat. I wanted to try the Knew Concept saw frame mostly because I do break a lot of blades and the company claims that by using their frames, you will break less blades. This claim is spot on. This saw frame, at first, was a bit intimidating. It looks like something from outer space. I got a 5" frame which is much larger than the 5" frame I am used to using. The way I saw and pierce is very fluid, so it was inevitable that I would bump into bench related things as I was first getting used to using it, because it's so much bigger (if you can imagine a saw pumping up and down and turning constantly). I almost gave up and went back to my tried and true, but I persevered. The Knew Concept saw frame is made of lightweight aluminum which resists bending and warping and is only a few ounces.The weight (or lack of) also took some getting used to. The way it first felt in my hand almost defied gravity. I was afraid I would break it! But much to the contrary, I have not yet broken a blade while using it, and I have been using it since January. It feels good to throw a saw blade away because it's dull (not because it broke) I also have less arm strain after a long sawing/piercing session...bonus! 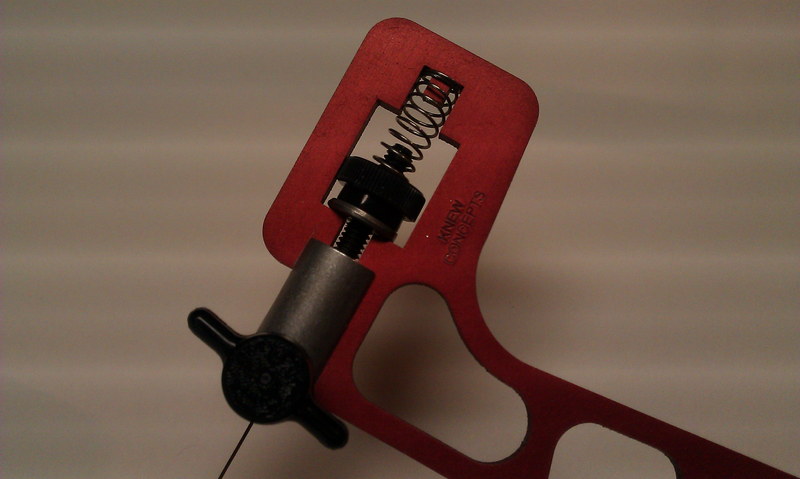 Another reason this frame took so long to get used to using is the tension setting spring. Tension of the saw blade is of utmost importance if you don't want to constantly break blades. 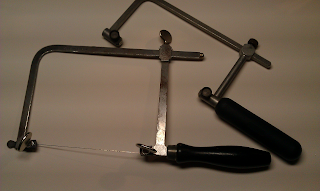 Traditional saw frames take brutal human force to achieve the ping of a high E guitar string. My new frame has a knob to tighten the tension (missing out on some exercise there). There is a trial and error period to figure out the right combination of tightening the knob and lowering the 'top of the blade' holder, which bizarrely are the same motion. But I've figured it out, so I'm happy. The key to smooth sawing and piercing is letting the saw do the work while you guide it along. This saw frame is perfect if you can 'let go' like that. After an initial 'break in' period (mine was about 2 months) this could end up being your favorite saw frame. It is my favorite saw frame now. I really love it, and I also love the fact that it saves me hoards of broken saw blades. If you are a jewelry maker and have a need for a new jewelers saw, I would recommend getting this one. It is more expensive than traditional saw frames, but you will save money in the long run (on blades). After getting used to it, you will love it! Thanks for the review; great to know it has held up and is worth the investment. It still reminds me of farm equipment, though!